E-Board for my Mom's living room. 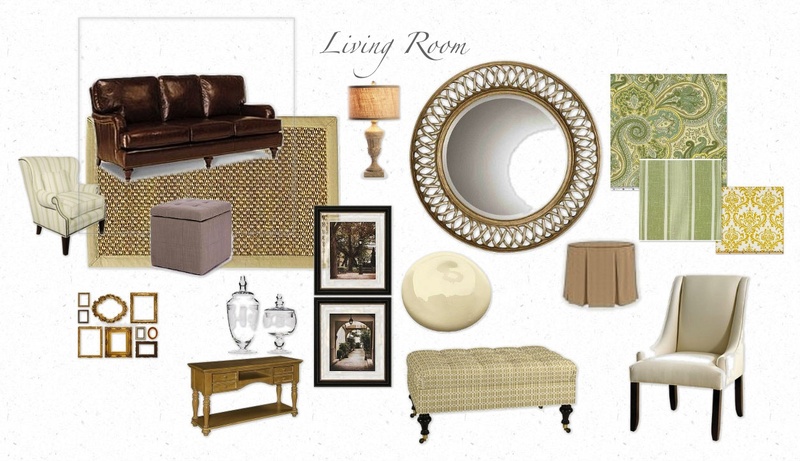 Here's an idea of what I'm putting together for my mom's living room. More to come as the project gets underway. I will have to improvise with the budget and finding everything to go with the original pieces that my mom has, but here's an idea of what I'm thinking about. This living room is a huge space so we are going to incorporate two different areas. One for seating and then possibly a reading corner with the two arm chairs. I found an amazing mirror at HomeGoods on Friday and I can't wait to show it. It was exactly what I was looking for but half the price. Can't wait until it all comes together. As for the nursery we did hang some prints this weekend and I'm still waiting on my curtains which should be done soon. Since I'm in the homestretch of my pregnancy I'm trying to get the majority of my house project done before the little man comes, so I'm super busy. There's a long list but the top priorities are the nursery, living room, and getting the house ready for the Holidays!!! I LOVE CHRISTMAS and love decorating to make my house festive. I have a couple of fun projects that I'm working on as well - I'll be sure to share. Hope everyone had a great weekend and here's to a great Monday! !